YAHOO – As we enter Emmy season — nomination voting runs June 12 to June 26 — Yahoo TV will be spotlighting performances and other contributions that we feel deserve recognition. 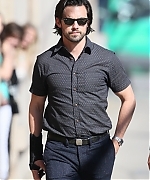 Milo Ventimiglia isn’t a father. But he plays a really great one on TV. And it’s beginning to rub off on him. Yesterday, Milo made an appearance on Jimmy Kimmmel Live! I have added high quality photos of Milo arriving at the studios along with two stills that Milo posted on twitter. I’ll try to get these in HQ soon! I’ve also included clips from his interview below. 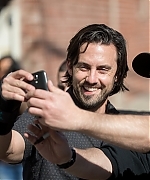 USA TODAY – LOS ANGELES — This Is Us fans want to learn the details of Jack Pearson’s death, but Milo Ventimiglia, who plays the husband and father of three, has a different perspective. Last week, NBC’s hit drama, which jumps between decades to show the Pearson family at various stages of life, hinted at Jack’s demise in a scene from the 1990s. In Tuesday’s first-season finale (9 ET/PT), he and wife Rebecca (Mandy Moore), get the spotlight, toggling between eras. 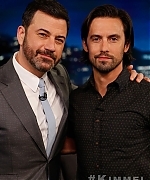 As Ventimiglia, 39, absorbs Jack’s unusual status as a central character who’s long deceased in the present day, the Heroes and Gilmore Girls alum understands the special nature of the critically acclaimed Us. The series, which has brought many viewers to tears with its emotionally charged scenes, received a rare two-season renewal, reflecting its status as TV’s No. 1 new series among young adults. Ventimiglia — whose facial hair has been a useful guide to the show’s time jumps — and Moore have acted with infant, child and teen versions of the Pearson kids. Ventimiglia, who’s single and has no children, appreciates the rewards and demands of fatherhood, and he’s assumed a bit of a parental role with the young actors. 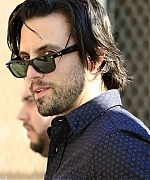 Executive producer Ken Olin, who directed the season finale, credits Ventimiglia for providing early insight about “salt of the Earth” Jack, who is less lyrical in speech and expressive emotionally than some other Us characters. 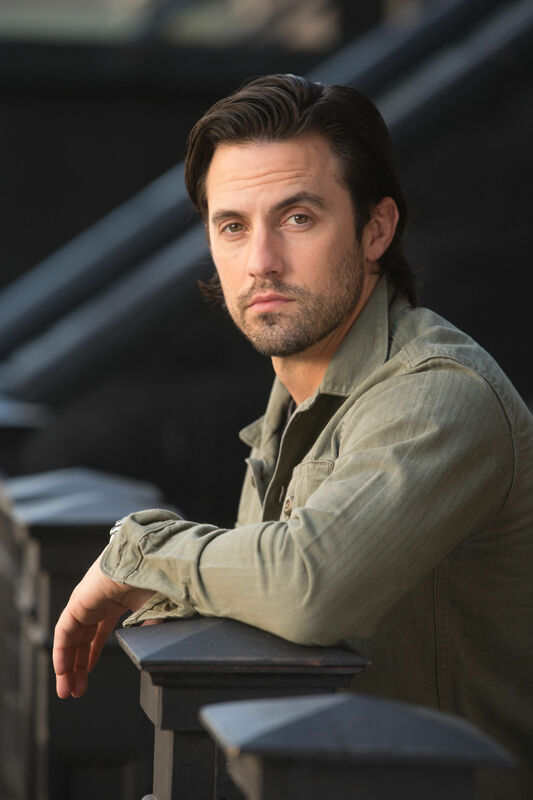 Although Jack is a decent man, whom Ventimiglia modeled on his own father, his family focus squelches his wife’s longtime dream of being a singer. He is hardly supportive when she goes on tour with a band, leaving him to care for their teens. “Jack isn’t jealous so much as he’s protective of his family structure,” Ventimiglia says. Frustration leads to heavy drinking, a dangerous prelude when Jack decides to drive to his wife’s first tour stop at the end of last week’s episode. His inevitable death — which fans previously learned happens in that 1990s era — was further underlined in a present-day scene in which Kate blames herself for her father’s passing. To avoid spoiling the finale, Ventimiglia gets philosophical when discussing Jack’s fate and future on a show where characters, including Randall’s biological father, William (Ron Cephas Jones), can die but continue to be seen in another era.